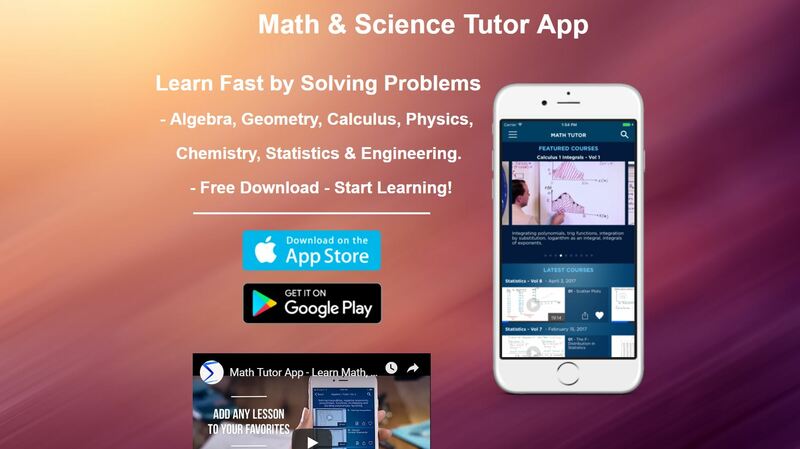 Share the post "Top 21 Math Apps of 2019 – The Ultimate Guide"
Quick, portable and most importantly affordable, math apps are one of the most popular ways for students, parents, and educators to learn one of the world’s most challenging school subjects. 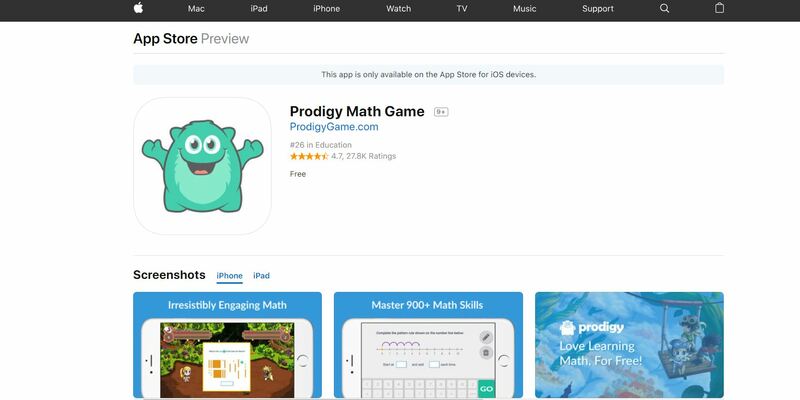 As such, there are quite a number of math apps to choose from and it can be tricky to pick the right one for your student. And so, without further ado, let’s get started! Math vs. Zombies is a math game loosely based on the popular Plants Vs. Zombies game. In this game, players play as a group of scientists out to treat infected by solving math problems that utilize fundamental principles such as counting and multiplication. As players play through the game, their progress is tracked via a detailed Report Card section. This way, parents and teachers can help figure out where exactly the student is struggling in. 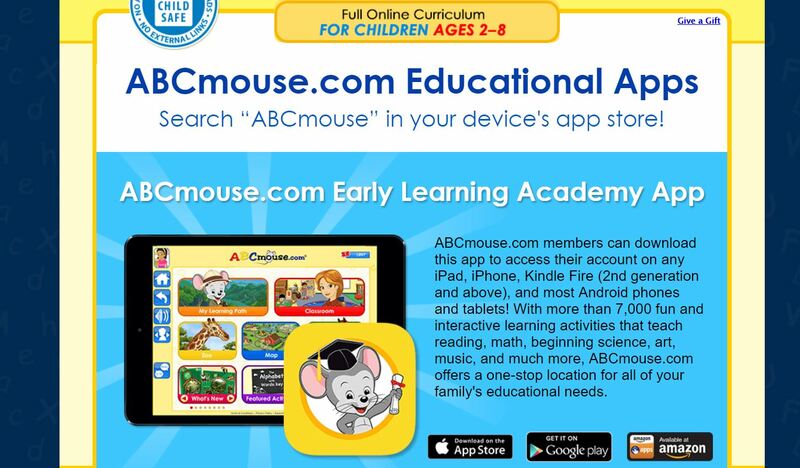 ABC Mouse is an award-winning learning platform designed by teachers and educators to teach elementary school students reading, math, beginner science, art, and many other subjects. To do this, students go through a series of lessons and choose from a multitude of games, books, songs, animations, puzzles, and art activities to do. As students progress, their progress is tracked. 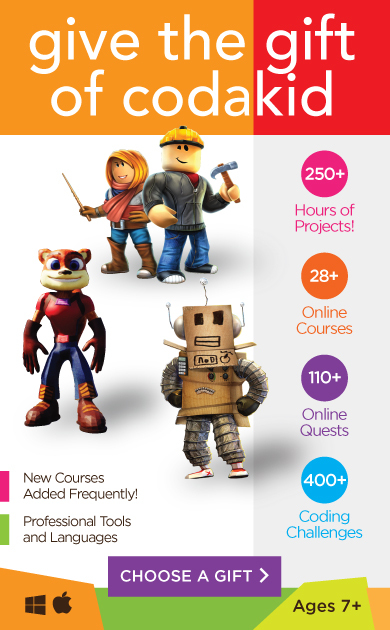 It even includes 900+ books and activities in Spanish for those who either want to learn basic math in Spanish and/or speak Spanish as their native language. 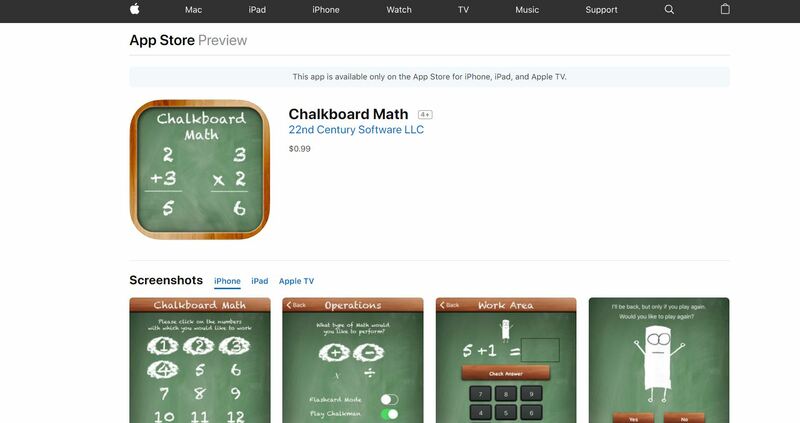 Chalkboard Math is an app developed by 22nd Century Software, LLC to teach students addition, subtraction, multiplication, and division by having them play a game similar to hangman. In this game, students first choose the numbers (1-12) that they want to work with. After that, they choose the math operations (addition, subtraction, multiplication, division) and solve a multitude of problems. In order to win and save the Chalkman character from being erased, players must get 25 problems correct. As players play through the game, the app “speaks out” the problems (as long as the volume is on and the device is not on mute) – and then either presents the correct answer and/or goes on to the next problem. In Prodigy Math Game, students interact in a fantasy virtual environment while solving various common-core math problems as specified by both their grade level and their school’s curriculum along the way. As students progress through the game, educators use their results in order to figure out where their trouble spots are. 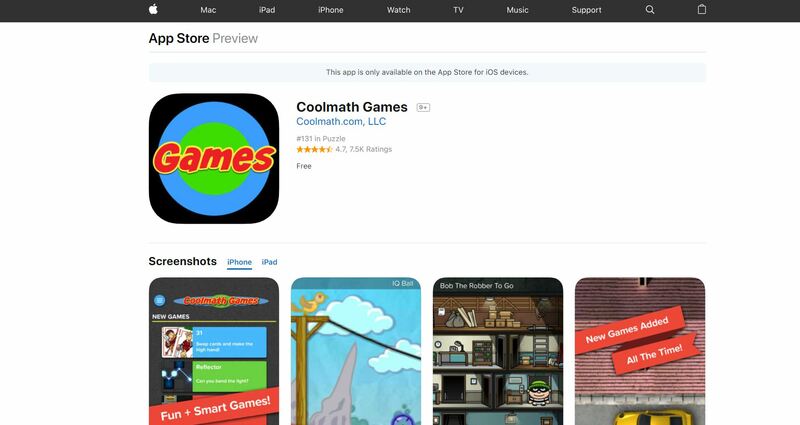 For the most part, this app utilizes the same tools as does the official web game. Dragon Box Algebra is an app designed by former high school math teacher Jean-Baptiste Huynh and game developer Patrick Marchal to help students as young as five years old solve linear algebra equations without even knowing. As players progress through the game, the cards are replaced with math variables, thereby giving players an easier grasp as to what solving equations look like. 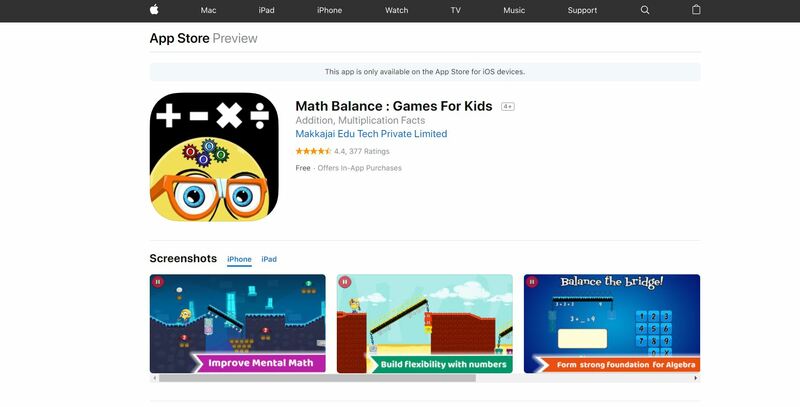 Math Balance: Games for Kids is a mental math game developed by Makkajai Edu Tech Private Limited to help students learn about equality/comparison in order to better prepare them to solve algebra problems. In this game, students help a character named Toby reach home by balancing bridges, which represent equations using different addition and/or multiplication properties. As they progress through the game, the students will have to utilize different math strategies. 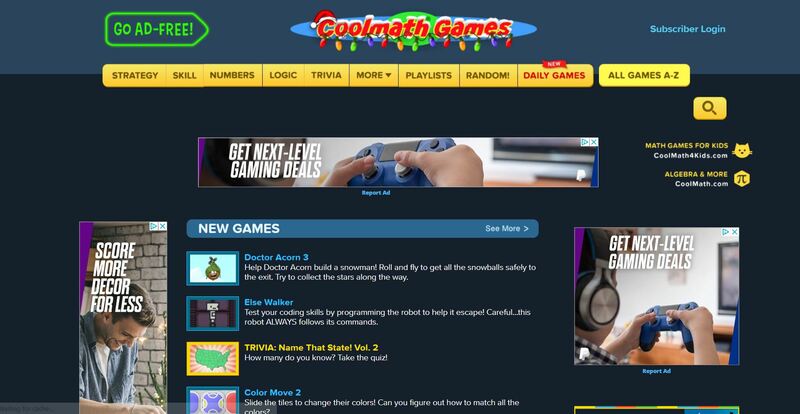 Based on the hit free math learning website, Cool Math Games is an arcade-style app in which students can choose from a multitude of games in order to brush up on their logic and critical thinking skills. In addition to offering classic games such as checkers and chess, Cool Math Games also offers fun, newly created games such as Bob the Robber to Go and Parking Fury. 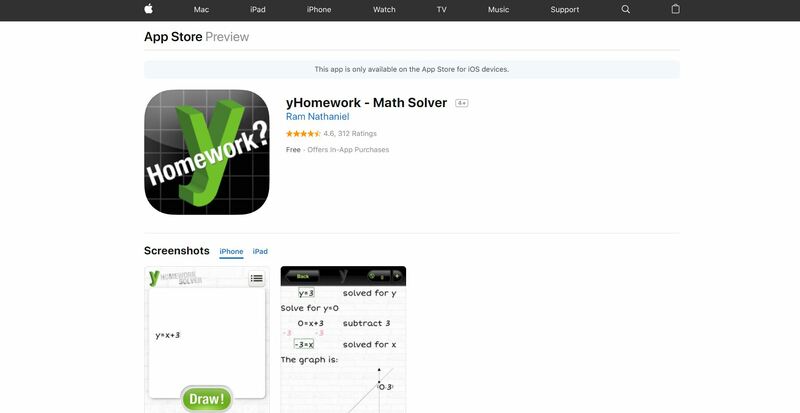 yHomework is an easy to use Math solver developed by Ram Nathaniel to help students get their algebra homework done step-by-step. To do so, students enter their question or equation into the app. From there, the app will immediately give the student the answer, along with a full step-by-step solution! For instance, let’s say that a student wants to solve: 8x-15=20. 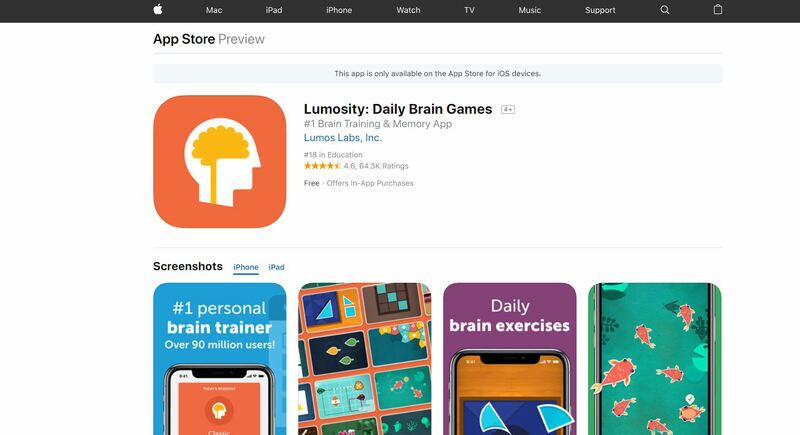 Lumosity is a “free brain training program” designed by a group of scientists and designers at Lumos Labs Inc. to help students (and many others) practice their math and problem-solving skills by providing puzzles that tailor to their individual needs. As soon as players download the app, the app provides them with a free 10-minute Fit Test to see how well their understanding of Math (and other problem-solving skills) compare with those of their age. 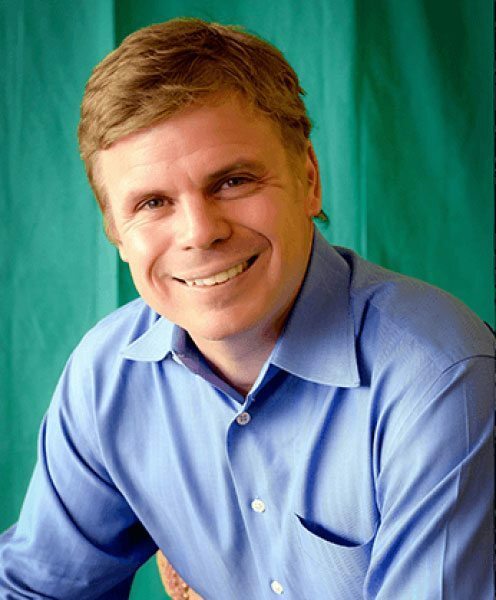 From there, the app tailors itself to the needs of the player. In addition to math exercises, Lumosity also provides mindfulness exercises. 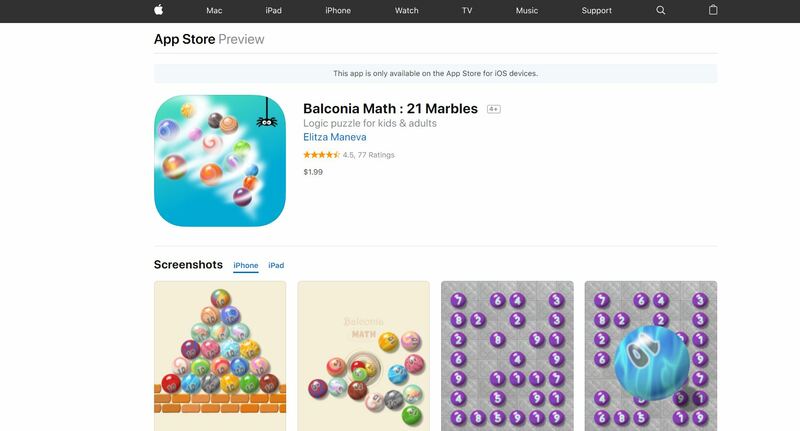 Balconia Math: 21 Marbles is a peg solitaire style game designed by Elitza Maneva to practice solving math problems outside of math class. In this game, students use logic and reasoning in order to create pairs of 10. While the game is designed for children ages 6 – 11, we at CodaKid think that older students would also enjoy this game because it teaches them how to solve math problems at their own pace. 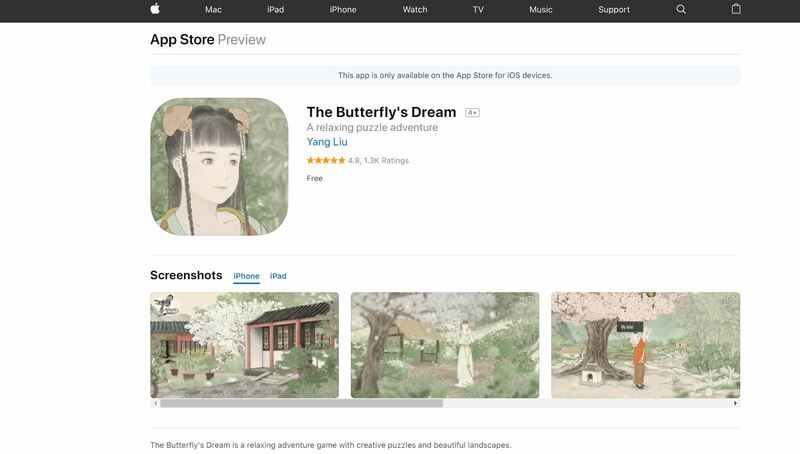 The Butterfly’s Dream is a relaxing, math adventure game developed by Yang Liu from Plump Bun Studio. In this game, students solve various math puzzles based on ancient Chinese games such as GO and utilizing ancient Chinese calculating tools such as an abacus. 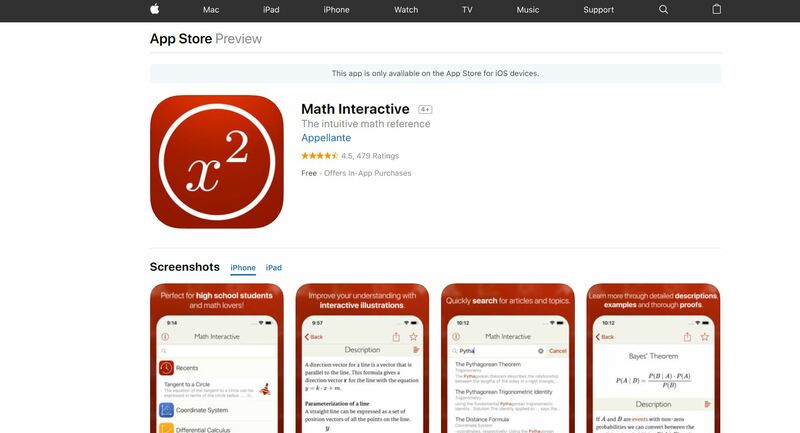 Math Interactive is a high school math guide developed by a group of three students from Denmark to help others, “get a deeper understanding of mathematical concepts, definitions, formulas, and proofs” according to iTunes. To do so, students can search from over 200 articles to find the right resource that gives detailed step-by-step solutions and thorough proofs in order to understand concepts ranging from geometry to trigonometry. While the guide itself is primarily written for high schoolers who are super passionate about learning mathematics, college students and professors can use this guide as well. Photomath is an award-winning homework help app developed by Photomath Inc. to help students understand how to solve complicated math problems step-by-step. To do so, students can snap a photo of a problem (typed and/or handwritten) using their phone’s camera. From there, they can use the app to scan the problem, which in turn will give them step-by-step solutions as to how to solve that problem. Students can also use the app’s built-in scientific calculator to type and edit equations that they have trouble solving. 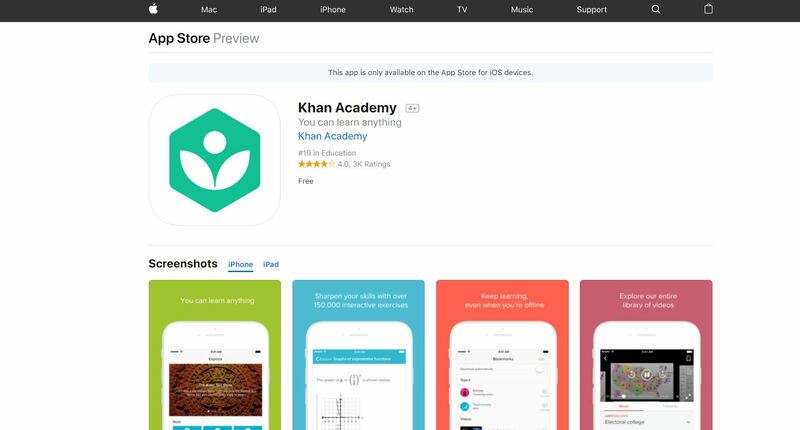 The Math and Science Tutor app is a “Khan Academy style” app developed by Math Tutor DVD, LLC, to help students review Math and Science concepts taught in the classroom. 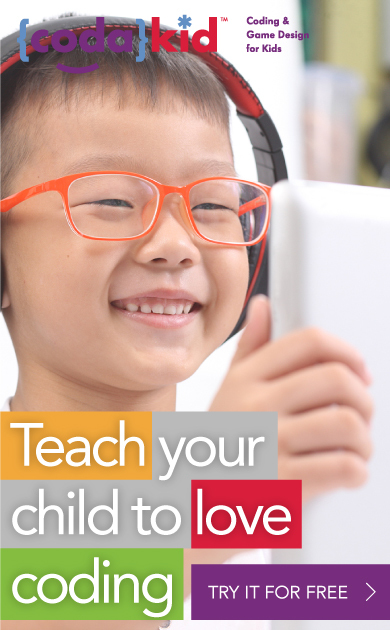 In addition to watching videos, students can also share lessons via email and social media, as well as complete worksheets that come with the app. For those interested in learning Computer Science and Engineering on the go, this app offers a Java Programming course and a Mechanical Engineering course. 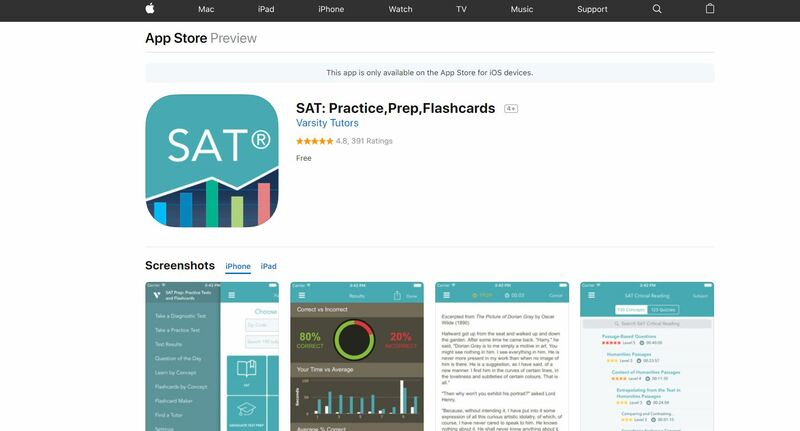 SAT: Practice, Prep, Flash Cards is an award-winning, test-preparation app developed by Varsity Learning Tools/Varsity Tutors to help students review for the SAT. In addition to offering real-life SAT problems for students to solve(timed and untimed), the app also allows students to create their own flashcards that they can use to record answers or take pictures of visual cues. Furthermore, the app contains “Tests Taken” feature. This way, students can keep track of past scores and progress. Of course, it also offers an ACT version for those trying to increase their chances of getting into the schools of their dreams. 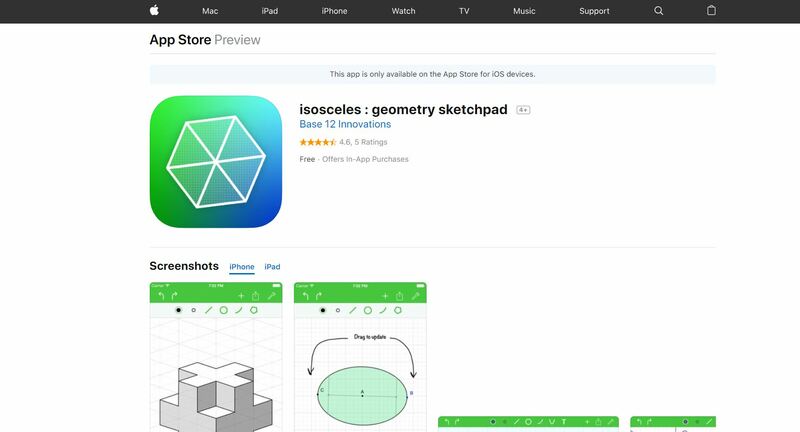 Isosceles: Geometry Sketchpad is an app developed by Base 12 Innovations to help students, teachers, and professionals draw the most accurate shapes that they possibly can. In addition to offering a place for students to draw figurines on, this app contains a sidebar for students to take notes on, as well as a series of construction and multiple choice problems that emulate those found on the SAT/ACT. Meanwhile, for teachers who own the iPad version of this app, they can connect their iPad to a TV or projector in order to showcase their images to the class. As for those working with LaTeX, users can import their figures as TikZ code into their LaTeX documents. 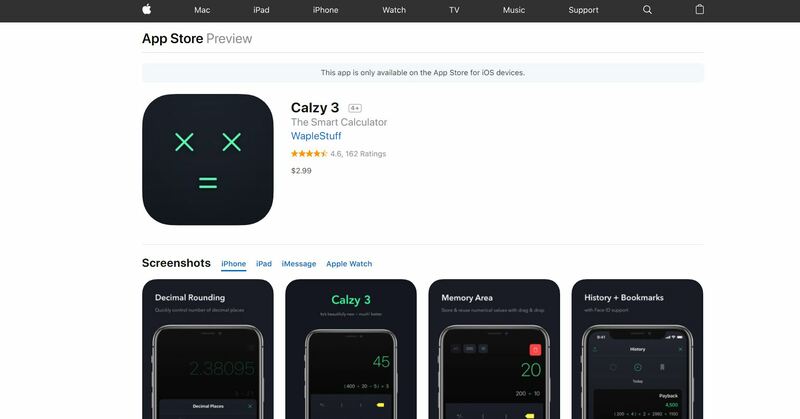 Calzy3 is a beautifully crafted digital calculator developed by WapleStuff to help students solve and save problems that they have trouble solving. According to iTunes, “One of the app’s most special features is “Memory Area” – where users can store multiple numerical values and reuse it across multiple calculating sessions with a simple drag and drop interaction.” Rather than having to constantly type the same problem and/or solution into the calculator, students can simply drag and drop the values however they see fit. Students can also bookmark their calculations for future references and have the calculator “spell out” the problem and result in multiple languages. In 2018, this app won the Apple Design Award for its slick, beautiful, practical features. 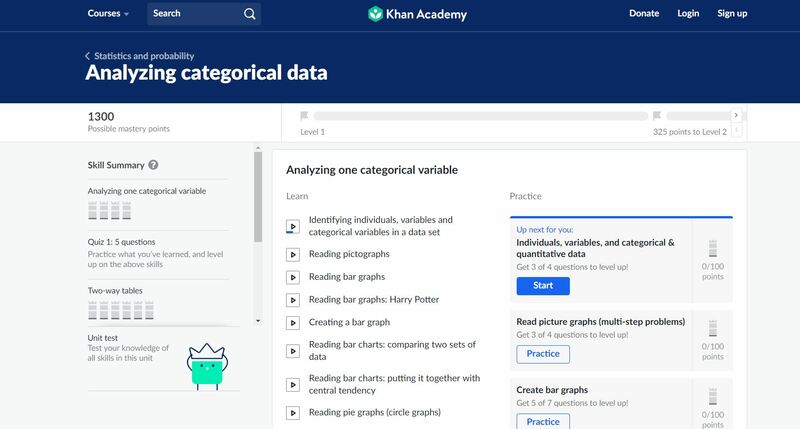 Khan Academy is a homework help and resources app developed by the makers of the Khan Academy website for students to learn math on the go, among other subjects. 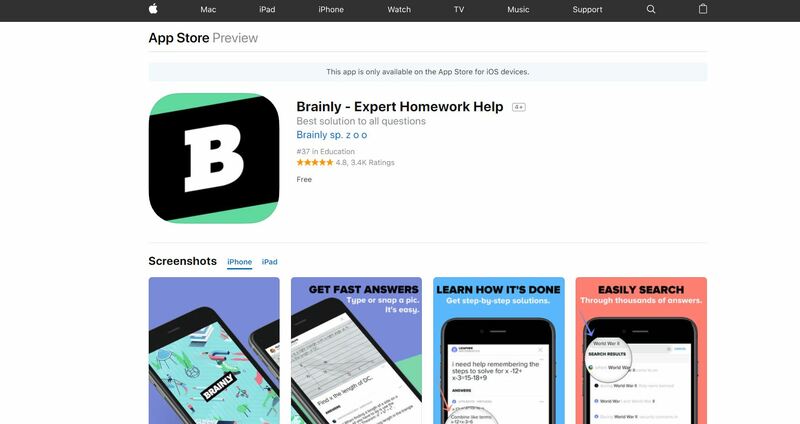 In addition to providing a plethora of videos for students to watch, the app also contains, “over 40,000 interactive Common Core-aligned practice questions with instant feedback and step-by-step hints.” This way, students can better prepare for whatever exams they must take prior to going into the school(s) of their dreams. They can even bookmark their content to “Your List” so that they can download it for future use without having to rely on wifi. 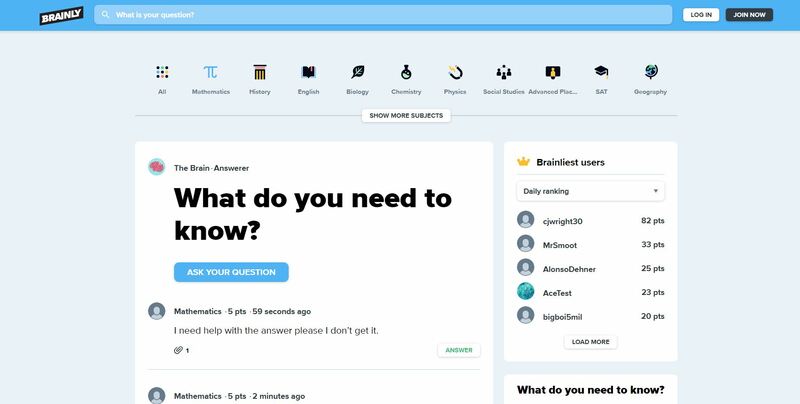 Brainly – Expert Homework Help is a “social media for math learning” homework help platform developed by Brainly sp. Zoo. On this app, students can post their own problems and provide each other solutions to those problems. This way, they would be able to not only learn how to solve the problems themselves but also learn from each other. 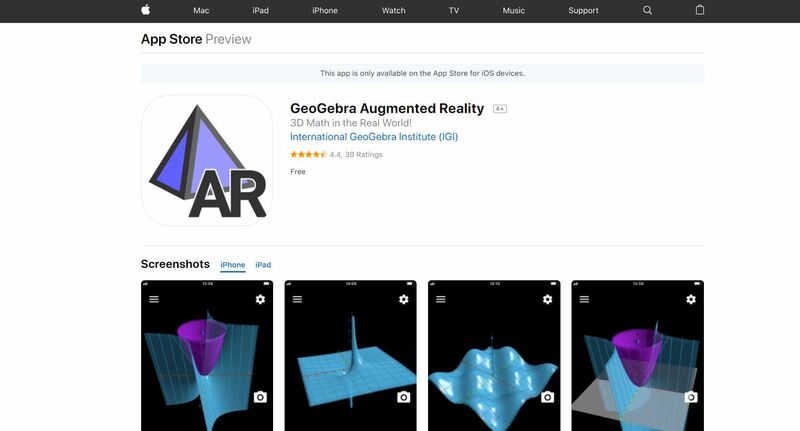 GeoGebra Augmented Reality is a geometric app developed by the International GeoGebra Institute (IGI) to help students of all different ages and backgrounds understand geometry from a real-life practical setting. To do so, students, “place math objects on any surface, walk around them and take screenshots from different angles” in order to get the drawings that they want. Because of the app’s unique feature, it is popular amongst artists, designers, and mathematicians who want to create the most accurate drawings available. 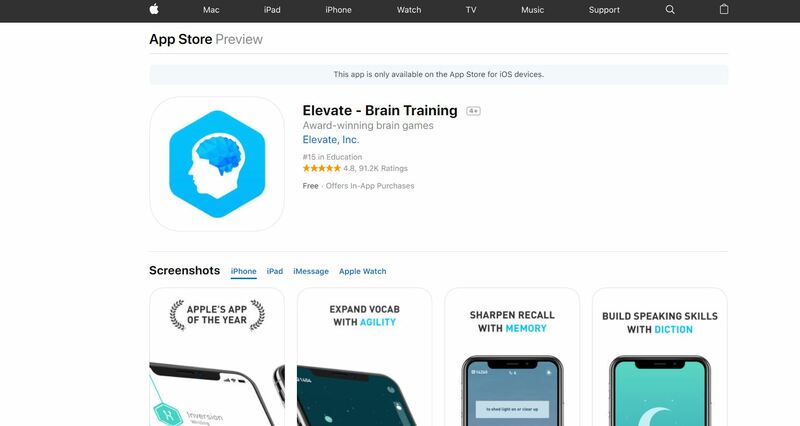 The Elevate- Brain Training app is an app designed by neuroscientists and cognitive thinking experts to help students sharpen their math skills by offering them personalized training problems, as well as a “workout schedule.” This way, they can continue to become the best math students that they can possibly be. For those that own an Apple Watch, this app comes with four additional mini-games, as well as a progress report feature called Elevate Dash. In 2018, this app won Apple’s App of the Year award because of its beautifully designed, easy-to-use features. 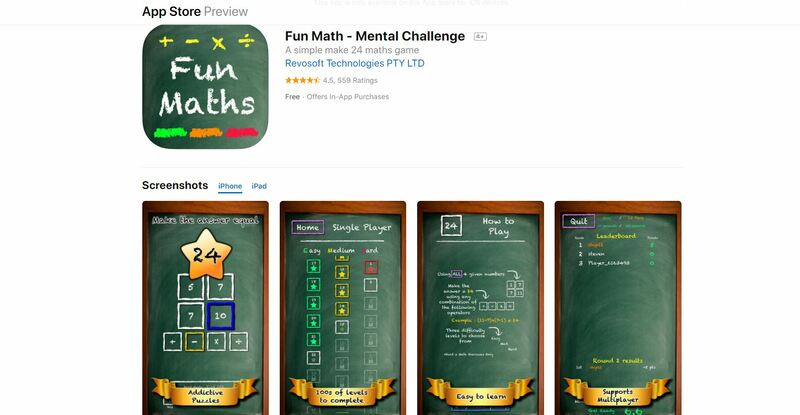 The Fun Math – Mental Challenge app is an app designed by Revosoft Technologies PTY LTD to help students of all ages understand and appreciate math by having them solve number problems and challenging their friends to do so. This app contains three modes: “easy”, “medium”, and “hard.” This way, students can adjust the app according to their level of understanding. Because many of these problems can be solved in multiple ways, even people as old as 78 enjoy utilizing this app. Now tell us, which of these apps are you thinking about giving a try this year? Are there any others that you recommend that we put on this list?